FREEPORT, Bahamas – The streets of Grand Bahama Island erupted with the sounds of the drums, horns and the shuffle of hundreds of dancing feet as the various Junkanoo groups turned out in their numbers for the annual New Year’s Day Parade, which is the highlight of the holiday season. This year’s parade, however, was sadly marred by the loss of one of Grand Bahama’s Junkanoo giants in the person Ken ‘Motorboat’ Ferguson who passed away in late 2017 making the event a bittersweet celebration of his life and of Bahamian culture. 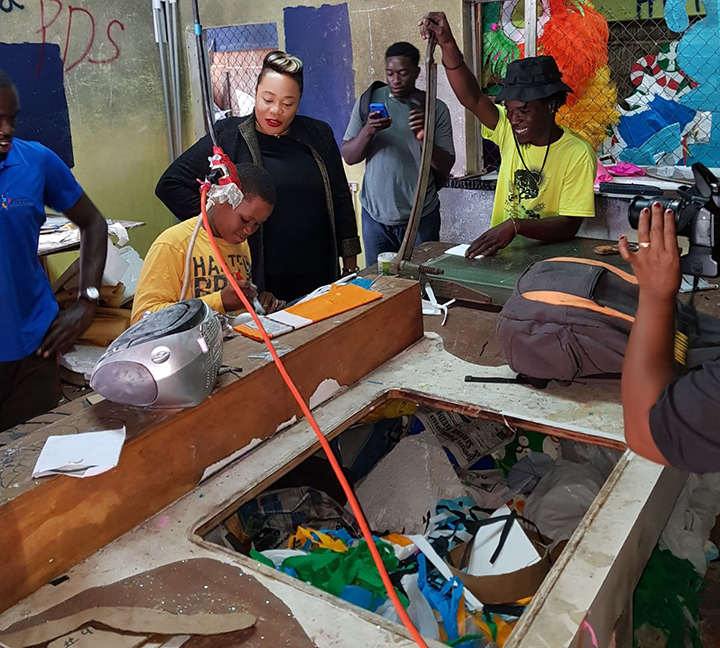 Like ‘Motorboat’, BTC has worked to make sure that the art of Junkanoo has grown and become the epitome of showmanship and performance that we have come to expect and love in our annual parades. For many years BTC has been the primary sponsor of the annual New Year’s Junkanoo parade on Grand Bahama, and this fifth non-consecutive year was no exception. BTC provided thousands in financial funding to the Grand Bahama Junkanoo Committee –which were used to support numerous groups including Swingers, Classic Dancers, Showtime Superstar Rockers and Kingdom Culture. BTC also provided Fiber capabilities for live streaming which gave thousands of Bahamians access to the parade via their smart devices. Visit BTC ‘s Facebook or website pages to see photos and video of the fun filled night of culture and more.